The perfect bread for a cold and nasty PNW kind of night! 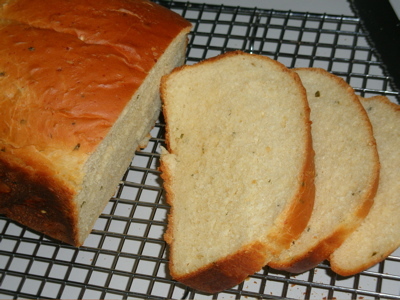 This recipe is for a bread machine and makes a 1 lb loaf – perfect for serving at a dinner for a family of 2-4. I used our favorite extra sharp cheese in it – Tillamook’s Special Reserve. 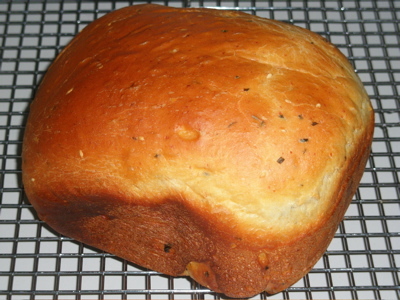 Add the wet ingredients to the bread machine pan. Add the dry ingredients on top. Where no liquid is present, add in the dry yeast on the flour. Insert pan into bread machine. Set for whole wheat, 1 lb size. Sit patiently as the 3 1/2 hours or so go by. Try not to be impaitent. When the timer goes off find your bread knife and butter.